First let me tell you that this book was a challenge to read, a real doorstop if I ever saw one. On the one hand it was about Dickens and 19th century London and it was written by Dan Simmons, an author who, so far, has disappointed me only once. On the other hand it was so long…almost as long as some of Dickens’s novels. Fortunately I liked the narrative voice of Wilkie Collins. 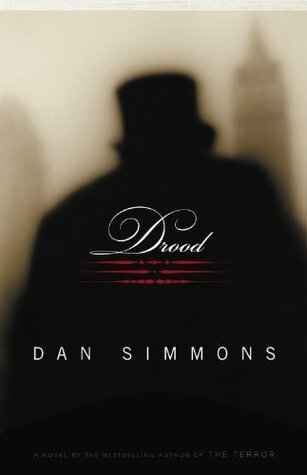 „Drood looked out at us. You want almost say: Lord Voldemort, meet your evil Victorian twin. Yes, evil – poor Voldy wouldn’t hold a candle to that one. For one thing Drood was half- Egyptian, how cool does it sound? For the other Drood could mesmerize his victim and make them do and believe in practically everything – far more efficient than those silly potions and incantation. He was completely bald. He had a band of bald followers. I bet they were tattooed too! ;p Small wonder I liked Drood or rather I liked reading about him. Not enough Drood in Drood. If the novel was shorter it would be better but I still recommend it for those who like Victorians and their outstanding hypocrisy. This entry was posted in book review, crime, fantasy, grimdark, horror, literary fiction, suspence and tagged Charles Dickens, dan simmons, drood, verbosity, Victorian London, wilkie collins. Bookmark the permalink. Ha! Yes, it is long. Really freaking long. I think even Dickens would look at this book and be like, “Who’s got time for that?? ?” But besides that I thought it was well-written. What’s your favorite Simmons book so far? In my humble opinion Simmons is the best when dealing with sci-fi/fantasy worLds so I would award the first prize joint to Olympos and Hyperion. I know, dear, I know. I almost ditched the book myself.